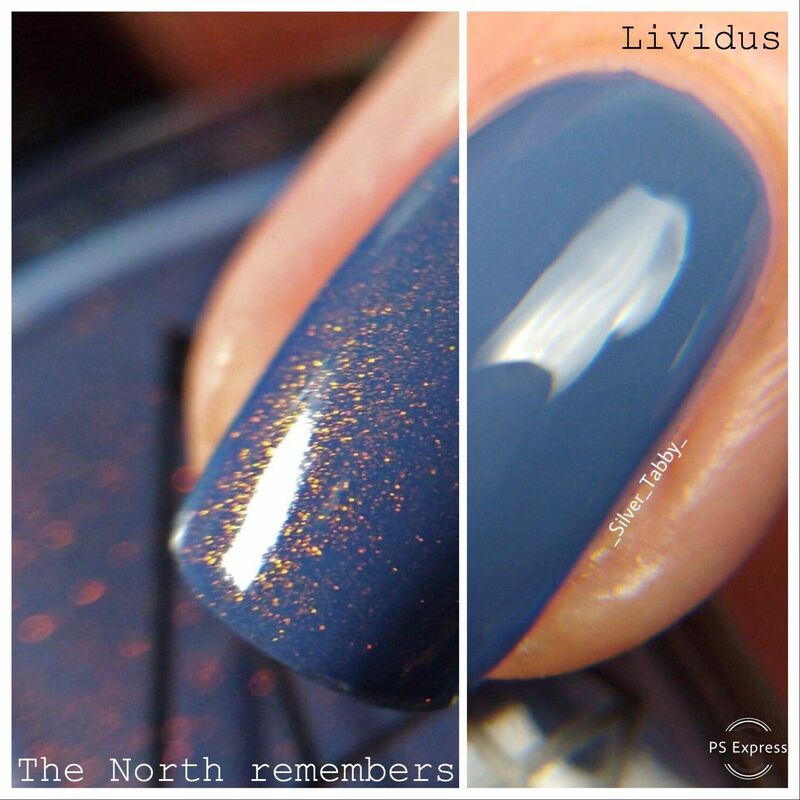 Lividus is a smoky blue creme designed to complement and be used underneath The North remembers. 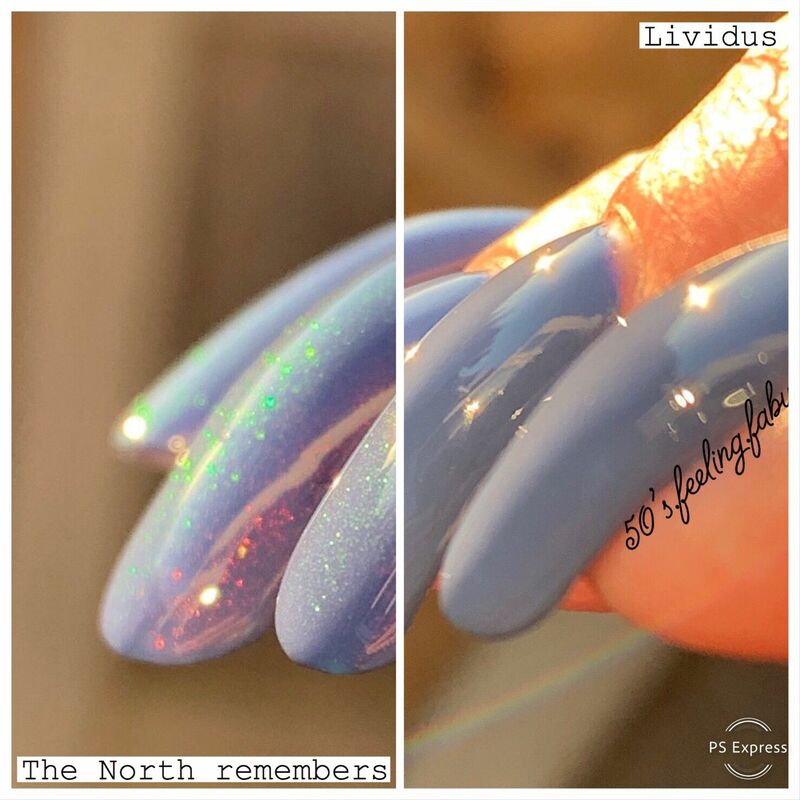 The North remembers is a sheer polish to allow the rare and expensive red/green unicorn pee pigment* to shine through. 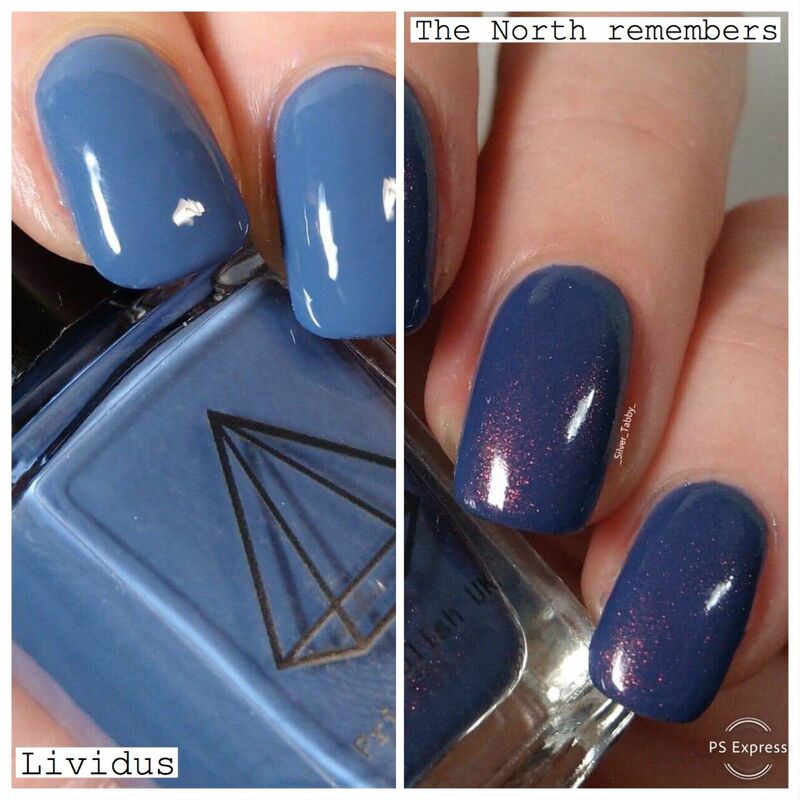 To help you save it, simply use one coat over one or two coats of Lividus for a beautiful opaque shimmery effect. *Unicorn pee is so named as it is a rare and discontinued pigment with a red/green/gold shifting sparkly shimmer. It was originally used in a very special polish, Clarins 230 and this pigment is referred to as 'OG UP' (original unicorn pee). This pigment hasn't been manufactured in many years and is very difficult to find. This is not a recently manufactured 'lookalike' - this is the real deal!